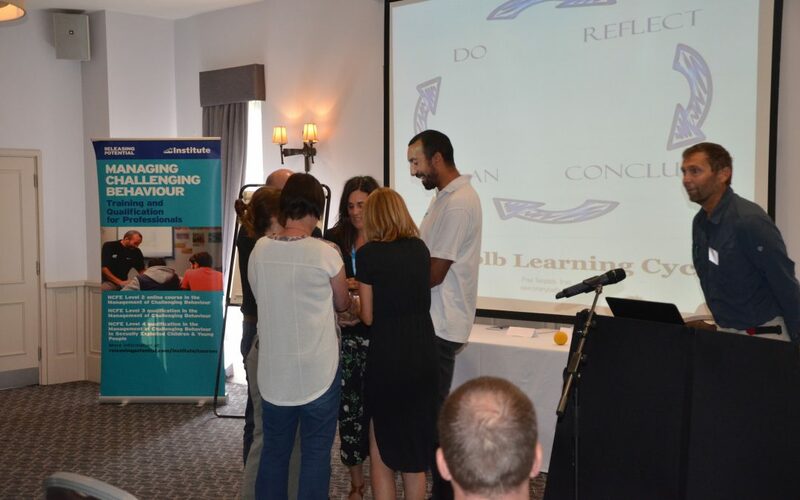 On Wednesday 11th July 2018, 100 professionals working in education and social care gathered at New Place Hotel in Shirrell Heath near Southampton for Releasing Potential’s second annual conference. Titled ‘The Forgotten Majority and the Invisible Minority: Strategies from Alternative Education’ the event sought to bring together those working with young people to discuss best practice, to share innovation, and to form collaborative networks with others working in a broad range of settings both educational and otherwise. Featuring two keynote sessions and a number of parallel workshops, delegates had the opportunity to hear from academics and professionals, each with a unique viewpoint on how to address the growing problems faced by young people in education and care. From Independent Schools whose privileged position outside the mainstream permits the re-focussing of energies beyond the academic (New Forest Small School, Summerhill), to Maintained Special Schools whose emphasis on SEAL skills and social-emotional wellbeing are working to dismantle barriers to inclusion (The Everitt Academy, The Ashley School Academy Trust), and those whose innovative work with the most marginalised young people is yielding results even at a time of extreme austerity (Releasing Potential School, Motiv8 Bicycle Recycling Scheme) the conference offered an engaging mix of perspectives. For example, Graeme Cooper from Common Thread contributed a compelling argument in favour of attachment theories as the key to engaging young people in his talk ‘What Does Putting the Child First Actually Look Like in Education? Synthesising the Tensions’ which explored alternative approaches to educating children in care. Delivered with Mike King of Releasing Potential, Niall Gray of Huis Technologies outlined the problem of recording positive outcomes for school refusers alongside the development of a new cloud-based technology called “LearnTrek”. Tom Belcher and Ashleigh Stocks presented on ‘Teaching Sexually Exploited Children’ and detailed the vulnerabilities to exploitation presented by children in Alternative Provision, for whom safeguarding and learning are often competing forces. Wayne Peters’s workshop on his ‘Activation’ model delineated the logistical and academic challenges posed by children whose extreme behaviour makes them impossible to teach in the classroom, but who are able to make incredible strides when their environment is changed. Charlie Adie’s presentation on the Bicycle Recycling Scheme also explored a change of environment: from the classroom to the bike workshop. Adie’s session described a social enterprise model of working that can be both self-sustaining and valuable in aiding better transitions for vulnerable young people who are NEET. As well as being highlighted in conference title, notions of visibility and recognition dominated the conference workshops, and major themes emerged in relation to young peoples’ identity, self-concept, and to the importance of pedagogical models that focus on relationships before learning could be made to work. In workshops by Cooper, Dr Debbie Watson, Dr Simon Edwards, Dr Heather Green, Dr Catherine Brennan and Dr Kieron Hatton, Peters, and Belcher and Stocks, young peoples’ negative perception of themselves within education and care was identified as a major contributing factor to their sense of isolation and exclusion. According to Brennan and Hatton, whose workshop explored the social pedagogical approach to preventing school exclusions with reference to Axel Honneth’s Recognition Theory, “we tend to internalise how others see us, and this affects our self-esteem and confidence. This in turn leads to mis-recognition being reinforced, leading to more problematic behaviour and relationships”. For Brennan and Hatton, finding ways not only to see young people, but to ensure that they, in turn, are able to see themselves as creators and participants in their learning, is the key to unlocking the potential in those at the margins of mainstream education. Similarly, for Watson, the importance of tracing one’s life story, of being visible amongst external and internal narratives of loss, disruption, disconnection and disorientation that often characterise children’s experience of care, is central to strong foundations for successful life. Exploring the concept of “narrative identity” Watson detailed an alternative approach to engaging children in forms of retrospective narration that respond to the fluidity of identity performance as an “ongoing embodied act”. Green’s workshop ‘Engaging the New Generation: The 21st Century Child’ also explored tensions between visibility and invisibility. Green discussed the invisibility of young people who are “wired differently” in schools whose pedagogic practices have not changed despite developments in the ways that children learn. In spite of this sense of invisibility, of slipping “under the radar” in education, children with SEND are, as Green showed, increasingly visible in figures relating to exclusions and unsuccessful outcomes post-16. Henry Readhead’s energetic keynote talk on Summerhill—Britain’s oldest democratic school and the subject of much media attention in recent years—emphasised the concept of “freedom without licence” as key to successful outcomes with young people. Readhead argued that giving young people “freedom, equality, and self-governance”, as well as the choice about what (or whether) to study formally, almost always results in students succeeding academically and emotionally. Despite the huge difference between the position of children registered at Summerhill, a private, fee-paying boarding school, and Releasing Potential School, whose students come largely from disadvantaged backgrounds and have extreme emotional vulnerability or challenging behaviour, I was struck more by what we shared than what we didn’t. For Readhead the democratic model, through which Summerhill students self-govern and vote equally with adults on school matters, is underpinned by a needs-based philosophy very similar to our own; in essence, the needs of each young person must be met creatively without compromising the needs of others. A tall order for any educational provider yet clearly one we are all working towards nonetheless. While Summerhill operates in a world very far removed from our own in many ways, the centrality of choice, freedom and good relationships is as important to their alternative model as it is to our own. Similarly, though focused on a very different client group with additional needs, Dr John Crosbie’s afternoon keynote considered the importance of outdoor education as a vehicle to develop the sorts of relationships integral to successful learning. Through examples from practice with those who faced huge physical barriers to inclusion, Crosbie outlined the benefits of learning in the outdoors but also the pitfalls when not implemented in ways which put the learner and the pedagogue in a relationship calculated to enable trust, self-worth and confidence. In his discussion of what he described as a “relational pedagogy” Dr Simon Edwards also underscored the value of healthy, productive and creative adult-child relationships in work with excluded children. Putting the parent-child-pedagogue relationship at the centre—both literally and philosophically—Edwards, alongside Alison Kirk, the mother of an excluded young person, demonstrated the benefits of departing from the “banking” model of education with its hierarchical (and often judgemental) approach to school-family interactions. In a similar vein, Julie Poling’s contribution on the Catch22 drugs service for young people picked apart alternative approaches engaging young people in their own recovery. For Julie and her team, the dissolution of hierarchies between professionals and drug users and the ability to foster honest exchanges about drug taking is a vital part of their model’s success but is often at odds with the model of discipline and exclusion required by schools to keep their students safe. At the end of a very long day full of provoking contributions, I was humbled by the fact that so many of those working in alternative settings were delivering learning in innovative ways to combat the pressures on a system that no longer works for the forgotten majority of learners. While at Releasing Potential we often think about our own students as an invisible minority—highly visible in statistics but invisible in terms of successful outcomes—we are also part of a national picture in which schools are increasingly struggling to cope with the evolving needs of learners for whom a one-size-fits all solution just isn’t working. This forgotten majority of children, who are surviving in education rather than thriving in it, should be as much a core part of future policy and research as the invisible majority whose experiences largely materialise in dramatic statistics about exclusion or numbers of children NEET. We hope that this year’s conference was a small but significant step towards continuing this discussion, and we look forward to next year! Next year’s conference ‘Managing Transitions in Education, Support & Social Care’ takes place at New Place on Wednesday 10th July 2018. If you would like to submit an proposal for a workshop or presentation please contact us on institute@releasingpotential.com.